Do you enjoy swooning over exotic cars, but never seem to have the endless conveyor belt of cash that it takes to own one? Fear not, for I have compiled a list of bona fide exotics that are as affordable as any four wheeled mediocrity machine available today. Consider this a gift from your local neighborhood Tavarish. Here's a hardtop convertible with a hand-made and signed supercharged 5.4 liter V8, producing more power than a Ferrari F430, all made by the oldest manufacturer of automobiles in the world. In my opinion, it's the best looking SL made in the last 30 years. This great example has low miles, no accidents, and comes with absolutely everything you need to gain entry to the coveted exotic lifestyle on a ramen noodle budget. What a spectacular car. How much cocaine does it take for the engineers at Lexus to create an insanely aggressive M3-killer? The answer is all of it. This nearly immaculate Lexus IS-F, painted in the shade of red between "Pull Me Over" and "Bail Money Is In The Glovebox", is one hell of a daily driver and weekend warrior. It has a eight speed automatic, enough space for five, and a metric ton of torque for when you need to overtake that jerk in the E92 that habitually forgets to use his turn signals. Not bad, Lexus. Not bad. The car in this picture has a V10 with a dry-sump oiling system, three oil pumps, individual electronically-controlled throttle bodies and a six-speed manual transmission. This is a race car in a four door body, for the quite laughable price of a Honda Fit. There is nothing that will shift with more purpose than this car at speed, and there is perhaps no greater value performance-wise, than a depreciated (but otherwise great condition) BMW M5. There are those that think that luxury is something that must be renewed every year, with the shiniest toys available. And then there are those that own a Bentley and realize that not only is the luxury of yesteryear adequate, it's downright timeless. This Bentley Arnage T exemplifies everything that old Bentley used to be, mixing it with new technology in a way that will never be out of touch with the wealthy elite. It will always stand out in a crowd of mall-going mediocrity mobiles, and no one ever has to know that you paid less for it than their brand new base model Camry. Here's an ultra-rare Italian sports convertible with a V8, namely a dual-overhead-cam V8 from a Ford Mustang. And an interior that closely resembles a Mustang's. Also, "Mangusta" is an anagram for "A Mustang". Coincidence? Who cares?! It's awesome, no one else will have one, and you can buy parts for it at your nearest Autozone. It's also probably the cheapest car on this list, so at the very least, it's worth a second look. A Porsche 911 will always be an exotic car. It marks the exact moment when you've left conventional life to pursue something more. Not only is this 911 convertible in great shape, but with some off-the shelf fixes, it can be the most reliable car you've ever owned. The looks will grow on you, and the performance will never get old. Get it before they become untouchable, like every other Porsche nowadays. America's answer to the power-crazed 80s was to add more power to a chassis that was more go-kart than actual car. This culminated in a eight liter V10 Viper with hilariously large panel gaps and the ability to give you an ear-to-ear grin, between bouts of incontinence through fast turns. This Viper RT/10 is nearly identical to the original, except Dodge had around 10 years to figure out all the quirks and install things like windows and an exhaust that doesn't punish you with 3rd degree burns when you step out of the car. It's red. It's hand-made in Italy. It has a Ferrari V8 under the hood, and the interior is a work of art. Oh, and this one in particular is a low-mileage example that just so happens to be the same price as a top-spec Toyota Corolla. The only way you'd be able to extract any more value from a car is if you put a 458 Italia in a blender. On second thought, that might not work. Throughout the 80s and 90s, this Esprit Turbo was Lotus' flagship. It was the car all of its other cars aspired to be. It was light, insanely agile, and with its 4 cylinder turbo engine, pretty damn peppy. Although you could get a V8 twin turbo model for not much more than the price of this car, may your personal god show you mercy if it ever needs to get serviced. This one, at the very least has less complexity by only having half of the mechanical drivetrain components of its successor. It's also quite a looker and a great entry into the exotic car club for a seriously small amount of money. 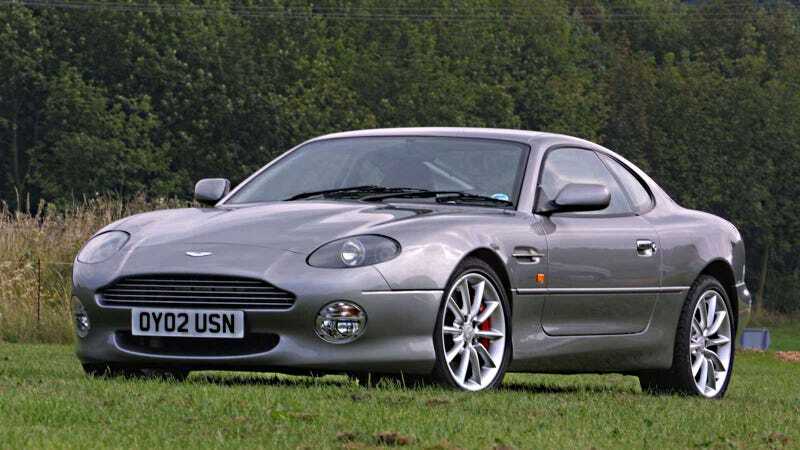 This V12 Aston Martin is perhaps the best value per dollar you can spend on an exotic today. The engine is essentially the same unit that Aston uses in all of its cars, from the DB9 to the Vanquish S. While the car was made in Aston's Ford era, the exterior is unmistakably gorgeous and the drivetrain, while complex, should be a workhorse. Not only is this car a low-mileage, highly documented example, it's accident-free and looks every bit of the $200,000 price tag it commanded when new. Insane performance value for a sane person's wallet, for sure.